Usually I forgo any celebration of Halloween. As someone who doesn’t even deal with the dark particularly well, a holiday devoted to all things spooktacular is not really up my alley. But, being engaged to an American and having lived in the US for a while, I’ve reconciled myself to compulsory Halloween celebrations every year. If you aren’t part of Team Reluctance, I do hope that you’ve had a wonderful day full of some appropriately spooky sewing! P.S. Normal blogging schedule will resume next week. I’m coming off of the back of a LONG work week – hence my blogging absence. While I continue working on my Beignet skirt (progress has slowed a little while I’ve been stuck in IT training), I thought I would take the opportunity to give you a little insight into history behind the blog name! If it’s not already clear from the vintage-inspired style here, I LOVE history. I spent five summers working as a tour guide in a stately home and, even though my career life is totally unrelated, I’m still pretty much taken with all things historical. 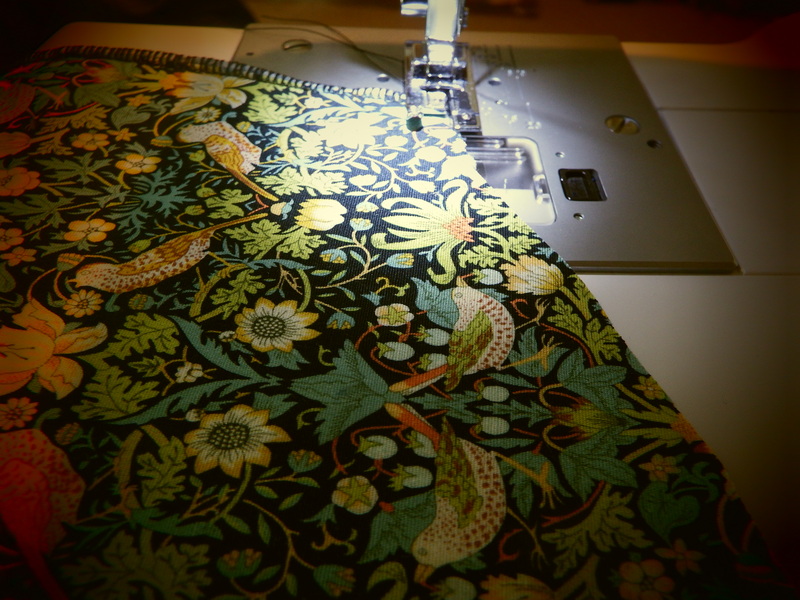 My decision to take up sewing was totally motivated by a desire to dictate my own style – inspired by the eras that I love and without reference to current fashions and trends. So, when starting this blog, I thought what better than to take a dip into one of my favourite periods – the 1940s – for name inspiration. 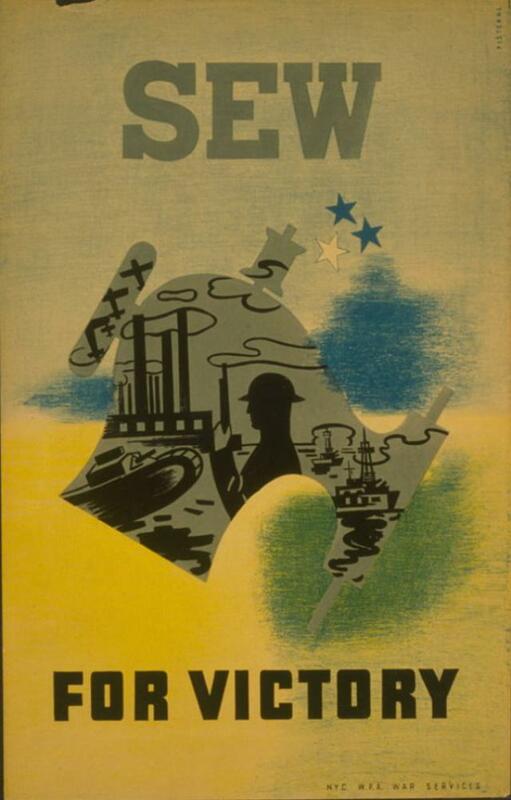 The Sew for Victory campaign finds its origins in the Second World War, as part of America’s efforts to mobilise women to become involved in the war effort. It rings with similarities to campaigns here in the UK, like the famous ‘dig for victory’ efforts. For me, titling the blog in honour of this historical chapter has two purposes. 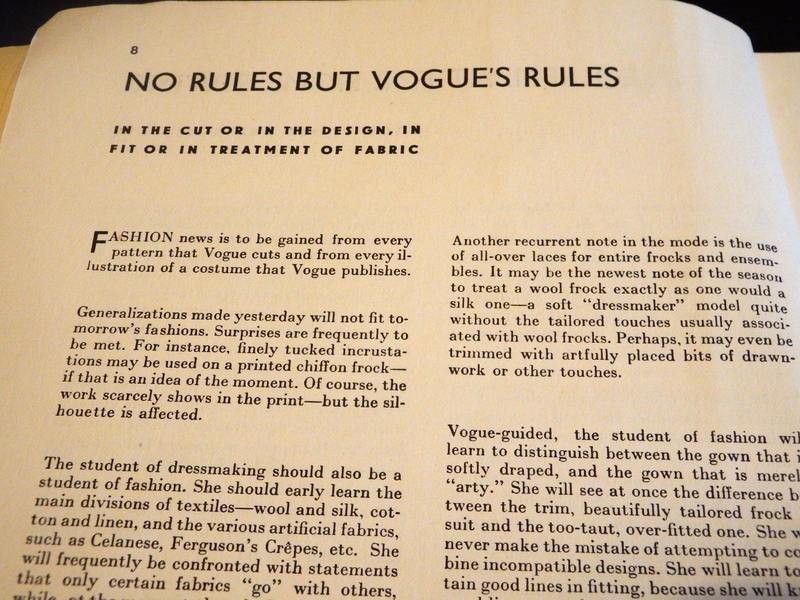 The first is, clearly, to get across that this is a sewing blog, with a vintage theme. The other ties with my day job as a PhD Human Rights researcher. Sewing – as with other ‘domestic’ pursuits – has an aura of the problematic about it when it comes to talking about women’s rights and their advancement. Obviously, it’s tinged with the idea of domesticity, and reminds us of a time when women didn’t have a choice but to become specialists in these activities. 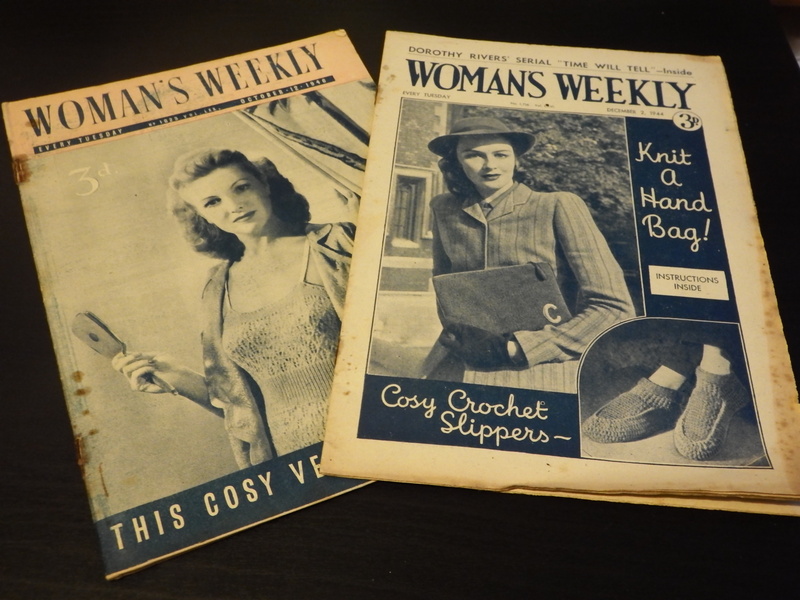 As a feminist who also has an interest in these traditionally domestic interests (I LOVE to bake and knit #granny), I used to find it difficult to reconcile my love of the 1940s housewife image with my unwavering belief in gender equality. But what we, as modern sewers, do differently is make a choice. We’re empowered because it is our decision to be business women, or academics, or mothers, or sewers, or artists, or scientists. We choose. I choose to sew and bake because I love it. I choose to pursue an academic career in a male-dominated field because it is my right to do so. And if I choose to forgo that career to work full-time as a mother, that it also my choice. There is no superior path. Only choices. The Sew for Victory campaign is a relic from a time when women didn’t have a choice – but they used the space they had to mark out territory in the wider world. They used the avenues open to them and pushed for more. And I want this blog to be a reminder to me that I owe my choices to those women. So, in that sense, I’m sewing in recognition of the victories won, but also the victories that we’re still waiting for. Whether you’re reading this because you’re a sewer, non-sewer or my mother (hello Mama Clarke! ), and whether you’re a woman or a man, you’re so so welcome here. I love this community and everything I’ve already learnt from it – in such a short space of time. So thank you all for being here, taking the time to read my musings on life, and sticking by my side while I sew for victory. I hope that you’re all enjoying your week. 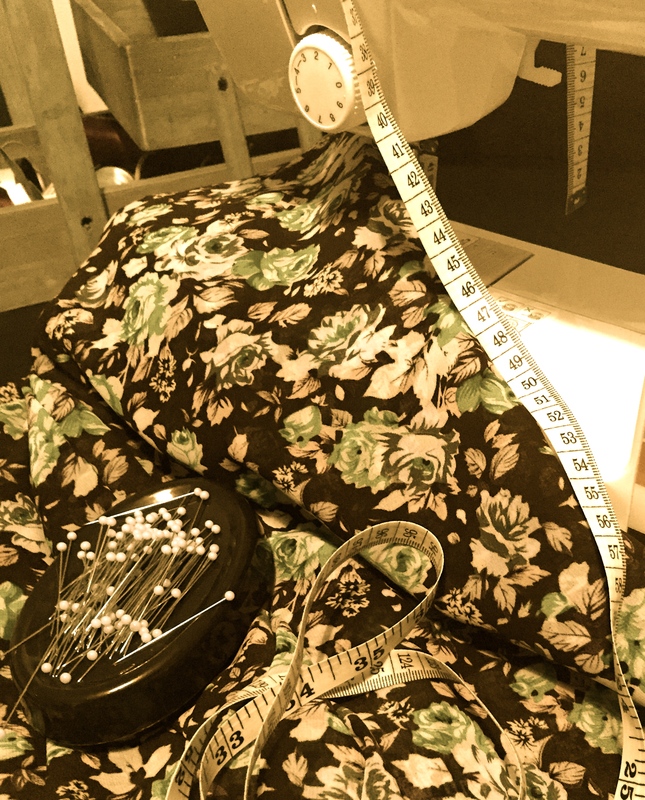 My sewing productivity has slowed a bit since finishing off my vintage blouse – I think that I needed a bit of time to recover from those plackets! 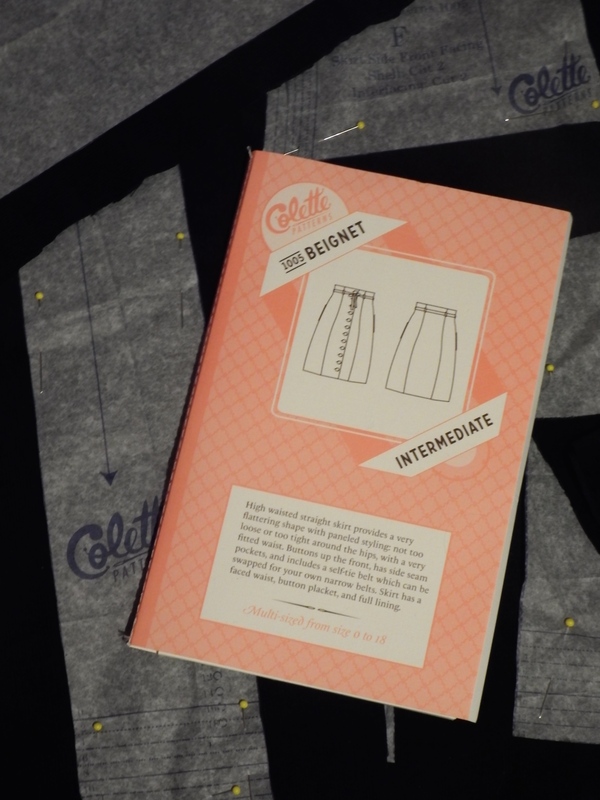 Fortunately, I’m getting back my mojo with Colette Pattern’s Beignet skirt. Cute cute cute. I’m making it up in a navy blue corduroy that I’ve had lying around for a while – mostly in the hope that it will make a great complement to my vintage blouse. The pattern calls for some lining, which I decided to work in mustard yellow. But my attempt to order the right thing online totally failed and, rather than looking mustard yellow, the lining I was sent is VERY pumpkin orange. Not quite what I’m going for. So I’m going to head down to the local fabric shop tomorrow for a rummage and see if I can turn up something more appropriate! In other news, I’ve been totally absorbed in the copies of Woman’s Weekly that I bought a couple of weeks ago. One from 1944 and one from 1946! I wrote before about how obsessed I am with old books and magazines. These are just incredible. 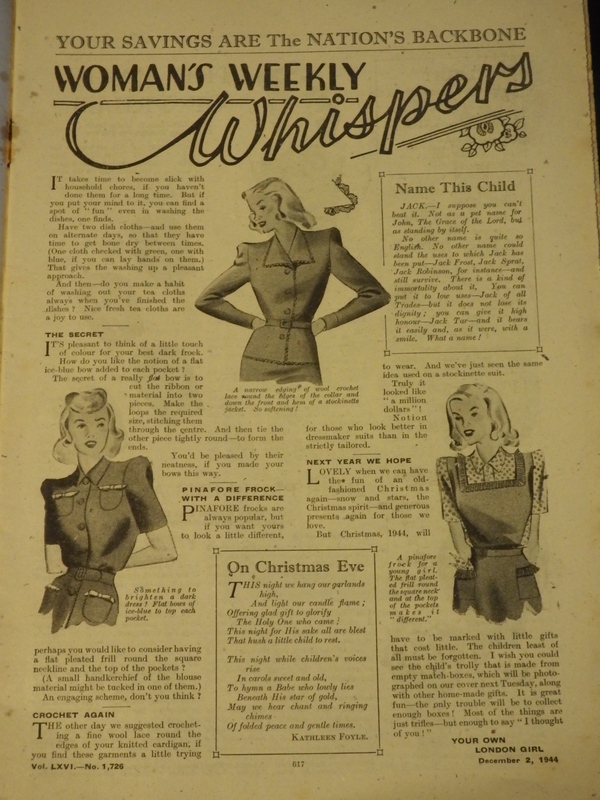 The 1944 one is especially interesting for all of the war-related ads and articles. I’m a little bit hypnotised by the Woman’s Weekly Whispers page – which seems to be a version of modern magazines’ ‘From the Editor’ letter. Look at those cute illustrations! 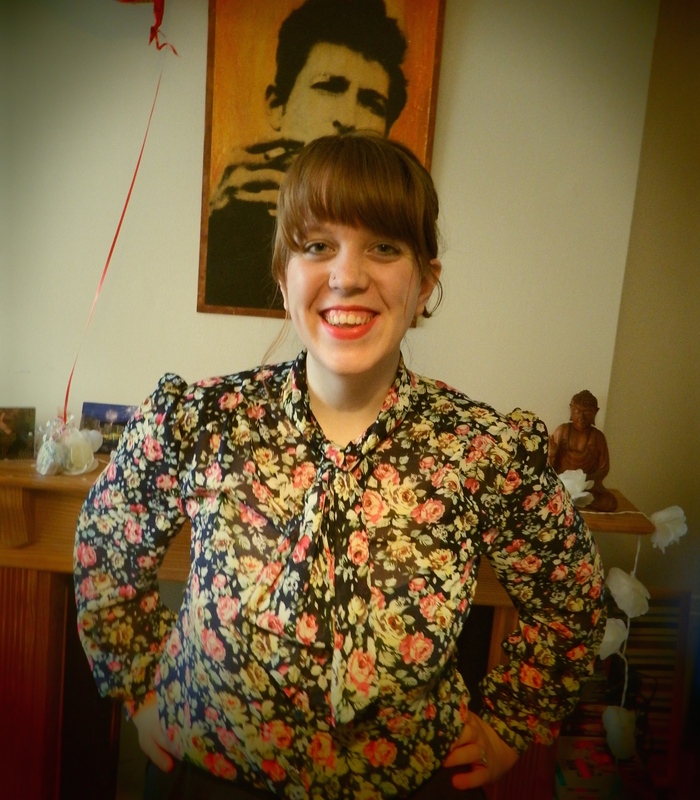 Well, after many tears (and a few curse words), I have finally finished the Great British Sewing Bee’s Vintage Blouse. It was my first time working with a chiffon fabric, which presented a bit of a challenge. 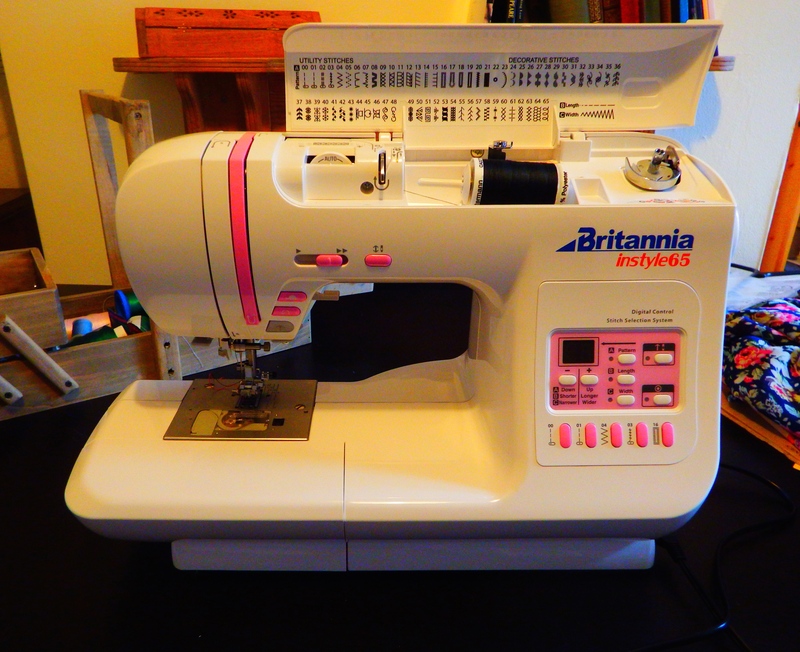 Fortunately, my amazing new sewing machine has automatic tension adjustment, making the whole process a bit easier! I actually really love this pattern. The fit wasn’t difficult and the vintage accents are just perfect – the necktie, the large sleeves, and the plackets. All of these brought their own learning curves, as I faced down with a range of new sewing techniques. I am now a master of french seams and less technically-challenged when it comes to continuous bound plackets! Whoop! Would I whip up this pattern again? I think so, although perhaps with a satin or silk fabric. The instructions that came in the book were great and easy-to-follow. And the final product certainly looks plenty vintage! And now it’s onto the next project! I’m torn between a few options but this evening shall be spent making a decision and getting started. Thanks for all of the support (particularly placket-related). You are fabulous!! Two days ago, the world was a simpler place. 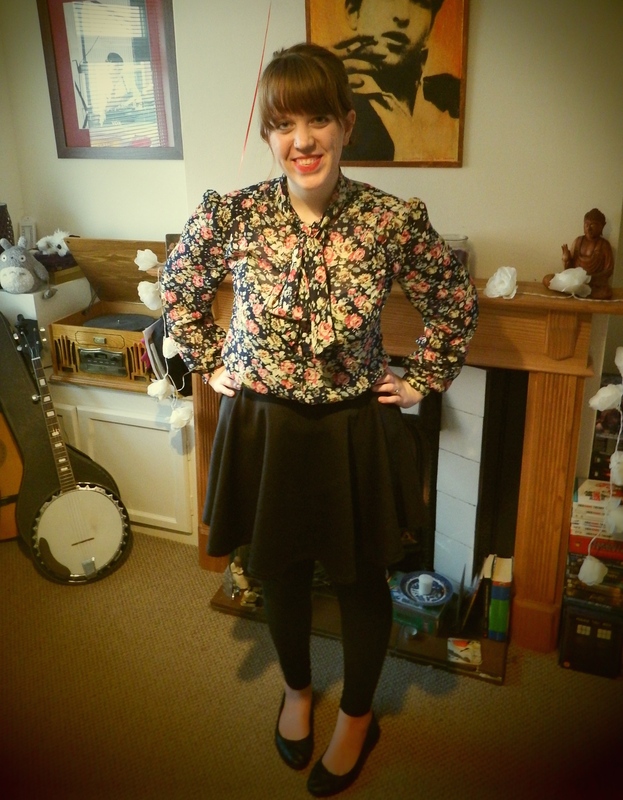 I was enjoying some calm constructing of the Great British Sewing Bee’s gorgeous vintage blouse. This was until my pattern demanded that I understand the point of a continuous bound placket and how to construct it. I faced three main problems: (1) I had no idea what a continuous bound placket was; (2) I decided to try and figure it out from working through the pattern, rather than actually looking for advice elsewhere; so, (3) I didn’t realise that a placket is a separate piece of fabric, and instead tried to manipulate one out of just my sleeve piece. If this all sounds confusing, you have a taste of my life for two days. I’m sure anyone in the Essex area heard my cries of frustration. Weeping quietly into my fabric, my wonderful fiancé stood over my shoulder – ‘does this pattern piece say placket?’ he asked, handing me a piece of tissue paper discarded on the floor. And with that, my problem was solved. I finally realised the common sense necessary to Google for a video tutorial and am preparing to tackle my plackets properly this evening. Oh the adventures of an amateur sewer! I swear 80% of my time is spent trying to decipher patterns and avoid pinning the fabric to my skin. 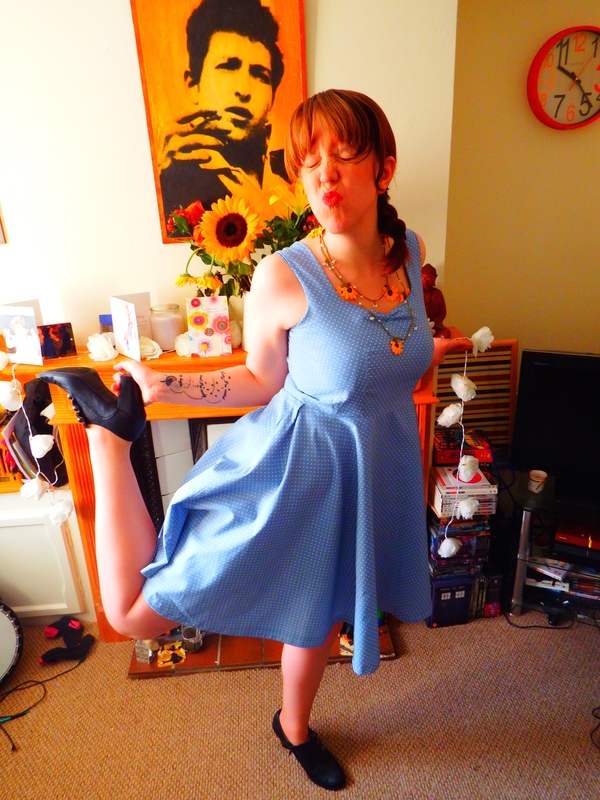 But I feel that it’s worth it for that 20% of actual sewing success! Despite my placket problems, my blouse is coming on a treat. 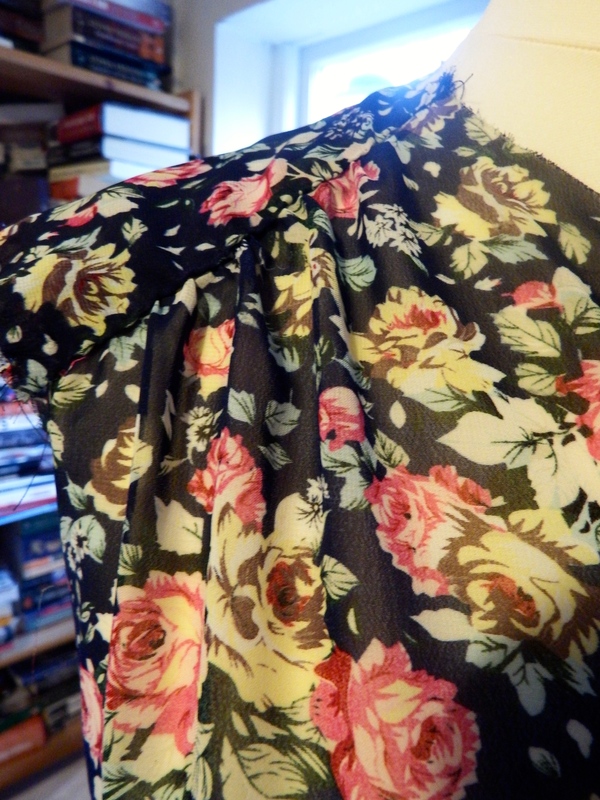 I’m still worried that the floral pattern might be a little outside of my usual style, but with a plain navy skirt, I think it’ll look tres jolie. Look at those shoulder gathers! I’m so proud! Since throwing myself into sewing, I’ve spent a good amount of time rummaging through charity shops trying to hunt out any craft-related goodies. 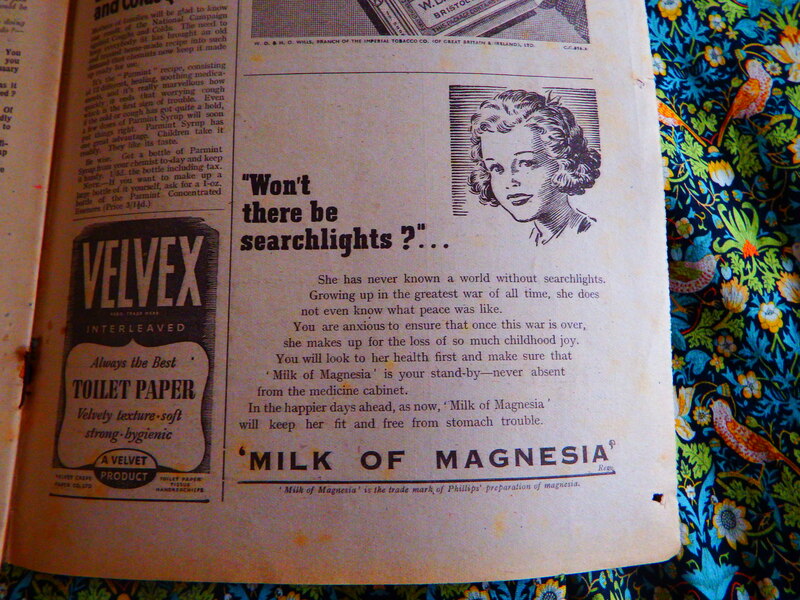 Surprisingly, perhaps the the best place to look for vintage-inspiration is amongst old books and magazines. 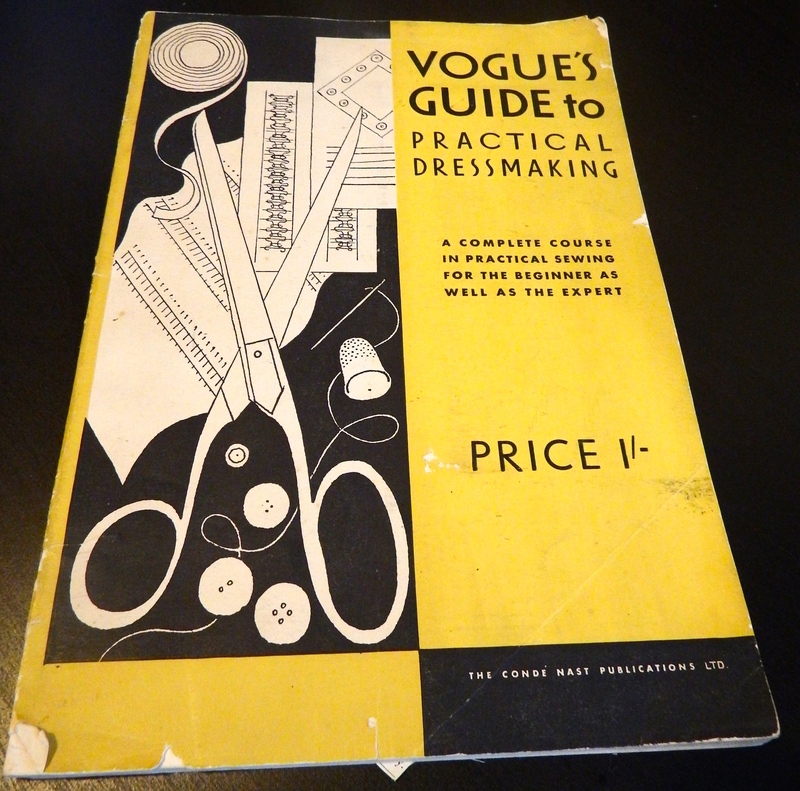 One particularly successful shopping trip last week left me the proud owner of Vogue’s 1932 Guide to Practical Dressmaking. 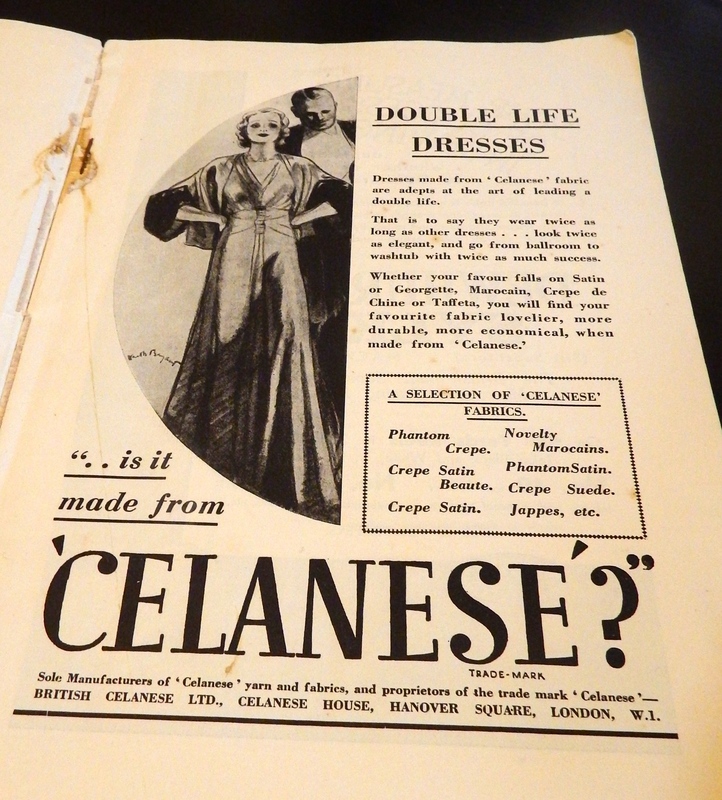 One of the most fantastic things about these old sewing guides and vintage magazines are the ads. For me, these provide perhaps the best picture of era-specific styles and beauty secrets. SO much love! So far, so good. Although I’m finding it impossible to backstitch without the fabric catching and have been securing by hand instead. Any advice on making my machine more cooperative on this? 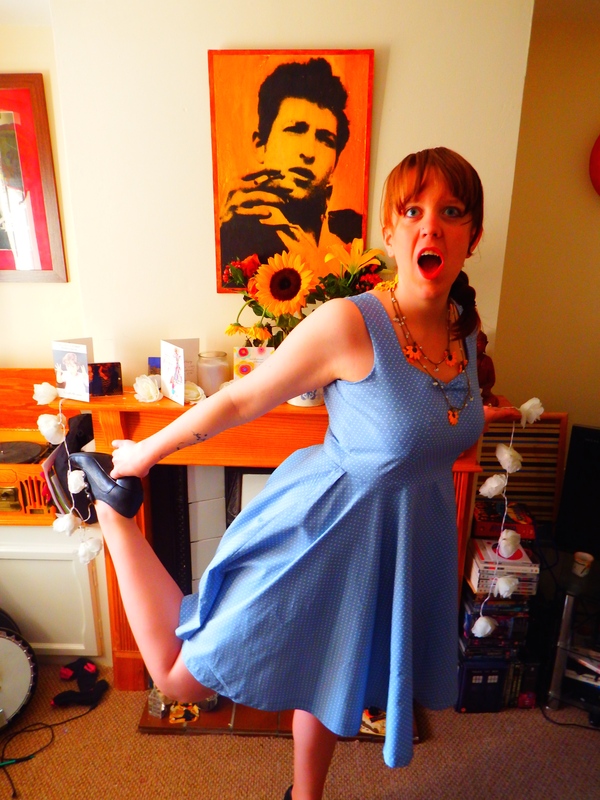 Welcome to Sew for Victory – an attempt to document my adventures through the world of sewing. I would love to pretend that I am a crafting expert who will be presenting fantastically perfect pieces of clothing to you. Unfortunately, the only way that this could be further from the truth is if I didn’t actually own a sewing machine (I do, so I figure I’m at least one step ahead of total ignorance). To date, I have successfully completed two projects – albeit with many many wounds (both physical and emotional). So why start a blog and exhibit my lack of knowledge to the world? A couple of reasons. 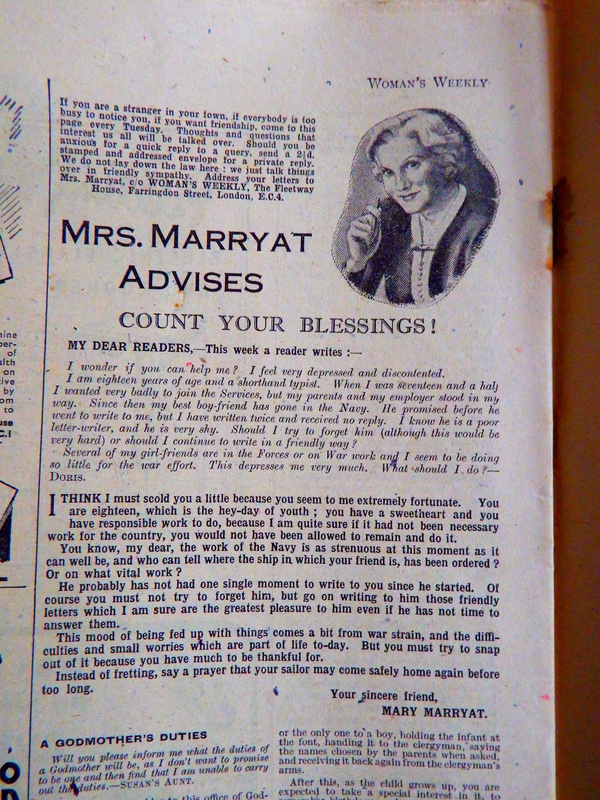 Firstly, I’m hoping that, through the blog, I might actually manage to connect with other sewers for inspiration (and, let’s be honest, a whole heap of advice). But also because I’m hoping that my experience may have some value. As a long-time blog reader, I know how easy it is to be daunted by the number of experienced and awesome sewers out there. I hope that through starting this blog as a real amateur, I might be able to provide some reassurance to other sewers who are just starting out. 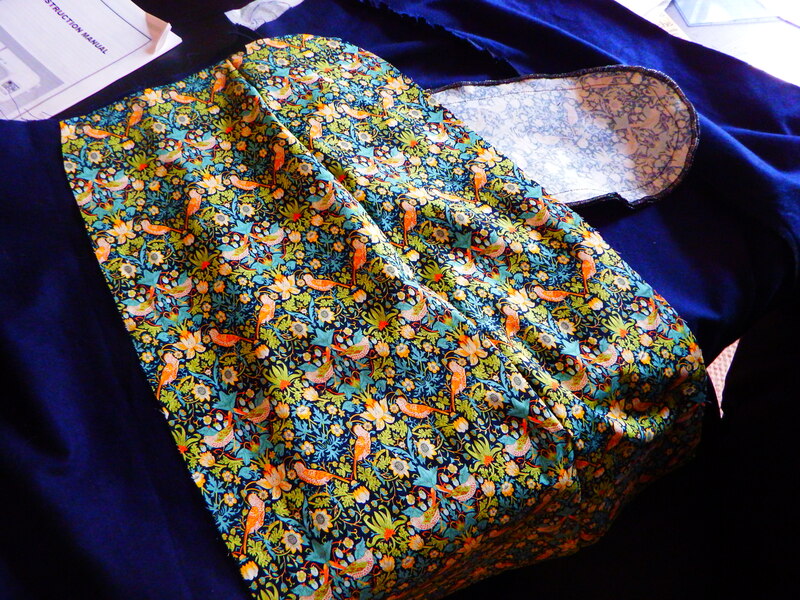 Although sewing is a relatively new endeavour for me, it’s something I’ve been trying at for a while now. A deep deep love of vintage fashion and a loathing for exploitation in the clothing industry (I’m a PhD Human Rights student, which might explain this) both moved me to start out. But after a traumatic early experience of trying to sew knit fabric (a truly amateur mistake), I abandoned my sewing machine and threw myself into every sewing manual I could find. 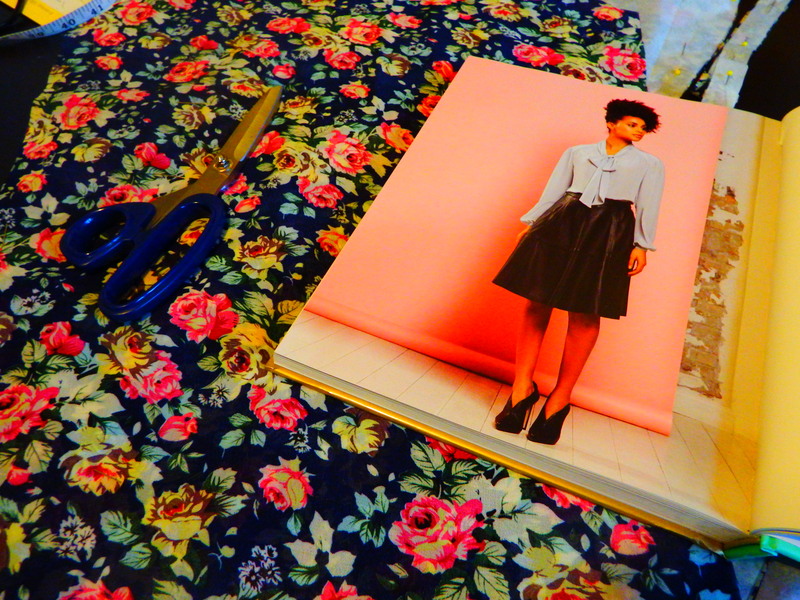 At a certain point, however, I realised that such a book-based approach to sewing kind of defied the point of the craft. I have now picked back up the needle, put down the book, and am ready to go. So world, be gentle with me. And let’s get sewing!